if \(n=2,\) then the action is a Nil-extension over an Anosov flow. Thierry Barbot thanks the FAPESP and the French consulate in the state of São Paulo (Brazil) for the financial support grant “Chaires franco-brésiliennes dans l’état de São Paulo”. Carlos Maquera is supported by CNPq and FAPESP of Brazil Grants 303643/2012-9 and 2013/02144-0. This paper was partly written while the second author stayed at Laboratoire de de Mathématiques, Université d’Avignon et des Pays de Vaucluse. It has been concluded while the second author was visiting the University of Campinas (UNICAMP) and supported by the french-brazilian program “Chaires franco-brésiliennes dans l’état de São Paulo”. Pr. 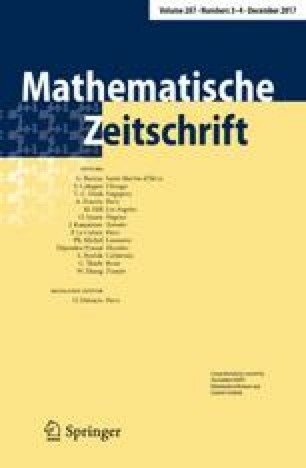 J.R. Varão Filho contributed to the conclusion of the paper, mainly in the elaboration of Theorem 8.